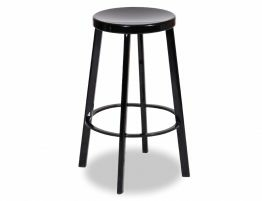 The Criterion Stool with a black frame and black padded seat is a modern design that is soft on the eye with its circular details. 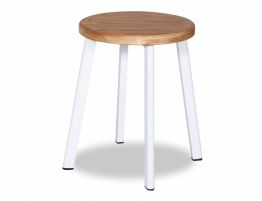 Without the impact of hard straight lines, a circle shape can have a cosy more inviting and softening effect on a zone. 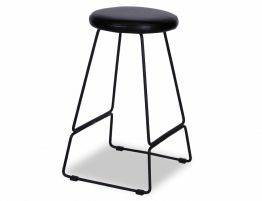 The Criterion Kitchen Stool with its black powder coated steel frame and black upholstered seat ideal for comfort is designed to be modern and contemporary and fit into the most glamorous of interiors. 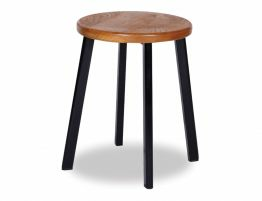 Don't over complicate your kitchen with timber or any extra details in a sleek modern kitchen. 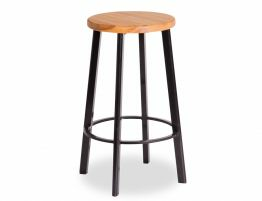 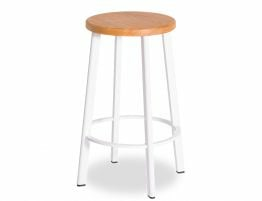 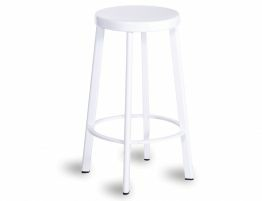 This Criterion Kitchen Stool is meant to keep it simple, sophisticated and classy and that is exactly what is does.